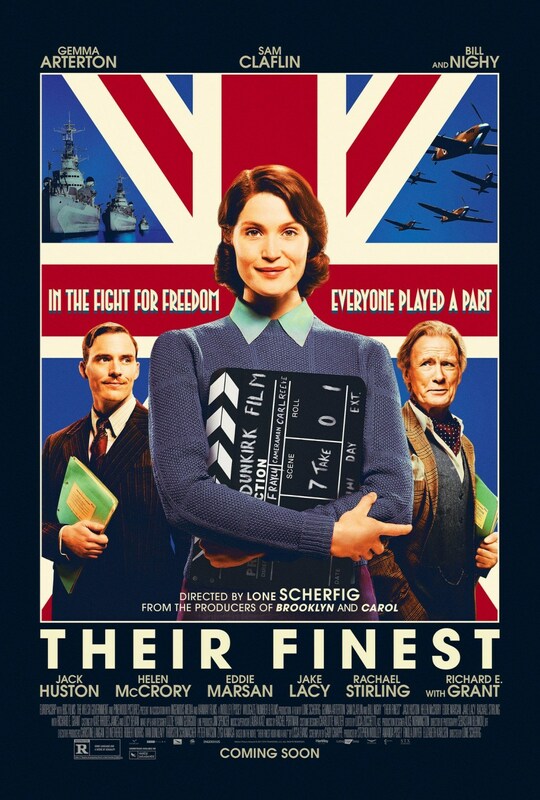 Their Finest poses itself as a tale of a woman film script writer in the thick of World War 2 Britain. Not much goes around that does not involve the war effort, and that applies to the film industry, too; it is all about wartime propaganda. Thus our hero (friend of this blog's Gemma Arterton) finds herself in the wrangles of scripting a movie about the heroism of Dunkirk that is meant to not only appeal to British viewers at home, but also encourage Americans to get off their neutral @$$. I said poses itself, because Their Finest is actually a movie about feminism and women making ends meet for men despite all the trouble men lead them through. It starts when our scriptwriter gets her first job and is explicitly told she will only get a fraction of what the men doing her role will get, because, hey, she's a woman. And it develops further and further. All while, it has to be said, leveraging off on the idea of movies as works of fiction that we accept for real (after all, that is the entire point of propaganda); but if that is the case, then what does it mean about a movie that shows us how valuable women are? Arterton aside, I quite liked Bill Nighy in the role of the elderly actor who thinks too much of himself but falls so easily to the [positive] manipulations of "our" scriptwriter. Overall: Fine, light but thoughtful, British entertainment. 3 out of 5 crabs.